What’s better for our first «Vuarnet Around the World » story than a story about an amazing journey threw the beautiful country of Canada. 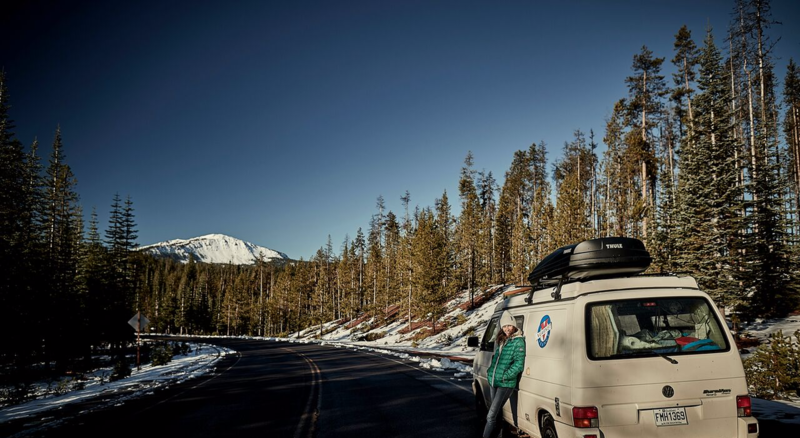 Julien, a photographer and his girlfriend Nathalie, a makeup artist, left with nothing else but their backpack and their famous camper on a road trip chasing Canada’s most gorgeous landscape. 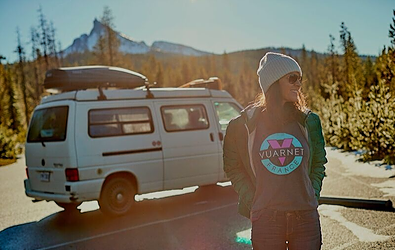 With their Vuarnet classic Tee and the love of adventure they left to discover a beautiful world. Let us take you through their adventure. #ItsAVuarnetDay. Why did you decide to leave on a trip? We both have amazing careers that take a lot of our time. We wanted to leave on a road trip for a long time but it seemed like there was never a right time. One day, we woke up and realized that we had to take our life between our own hands and we had to stop waiting. Few days later, we were gone. We really wanted to get out of our comfort zone. For the freedom! When you are on a road trip, your car is your home. You can go wherever you want whenever you want. Also, when you drive, you can admire the beautiful landscape. You really feel connected with the environment you are in and the people you meet. When you stop to eat or to visit, you get a feel of the place. 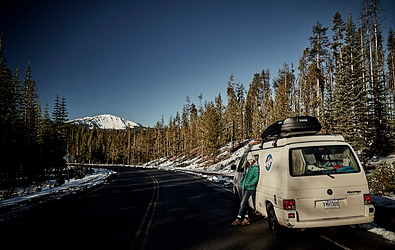 What is great about a camper is that you don’t have to plan your trip. You can decide where you want to go and where you want to sleep based on the people you meet and the places you see. You let yourself be led around by the adventure and that was what we were looking for. Why did you decide to do a road trip across Canada? We realized that most people spend a lot of money to do a trip half way across the world when they don’t even know their own country. We really wanted to see our home country. 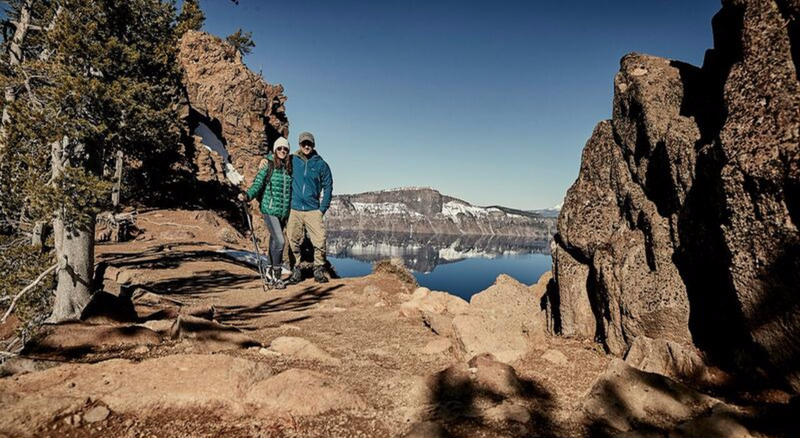 We both love outdoor activities and Canada is full of amazing naturel park and beautiful landscape. Nathalie and Julien started their trip next to Erie lake in Ontario. Next, they went to the imposing Niagara Falls before continuing by following the Superior lake and crossing Manitoba and Saskatchewan. They finally made it to the beautiful Rocky Mountains. They did a quick stop in Banff, a beautiful national park where humans, animals and nature mix harmoniously. Then Lake Louise and its breathtaking panorama before continuing towards Tofino, a heaven for surfers and lovers of big space.